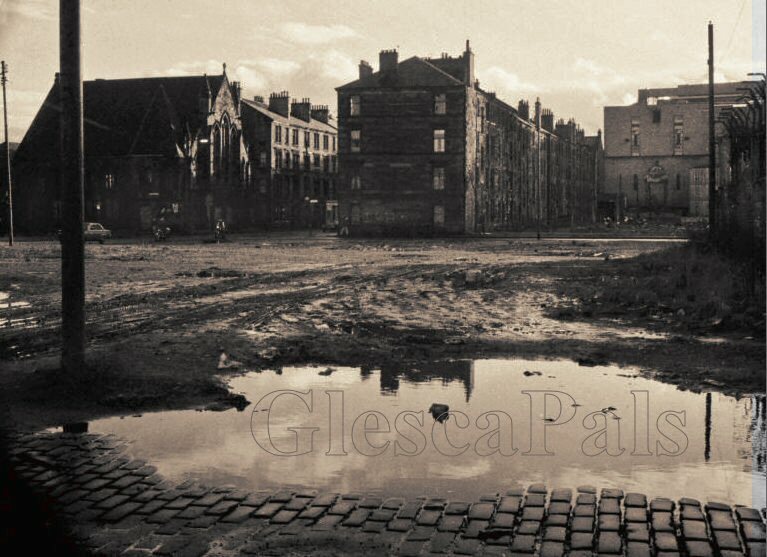 According to Rev.Andrew Herron's Historical Directory to Glasgow Presbytery the Hall Memorial Fairbairn Church building was built in 1881 when it was the Hall Memorial Church. It merged with Fairbairn Church on the 7th June 1959 to become Hall Memorial Fairbairn Church. 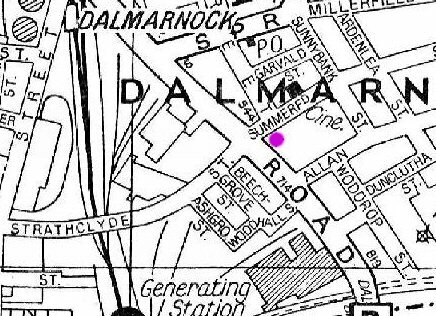 The church merged again to become Summerfield Church on the 8th October 1970 and once more on the 24th June 1976 to become Rutherglen Old. At some point after the 1976 merger the building was destroyed by fire and demolished but the Rev.Andrew Herron does not indicate when this occurred. Summerfield Street Church of Scotland. Dec.2010, William Neilly, 'Glesca Artist', Hamilton, Scotland. 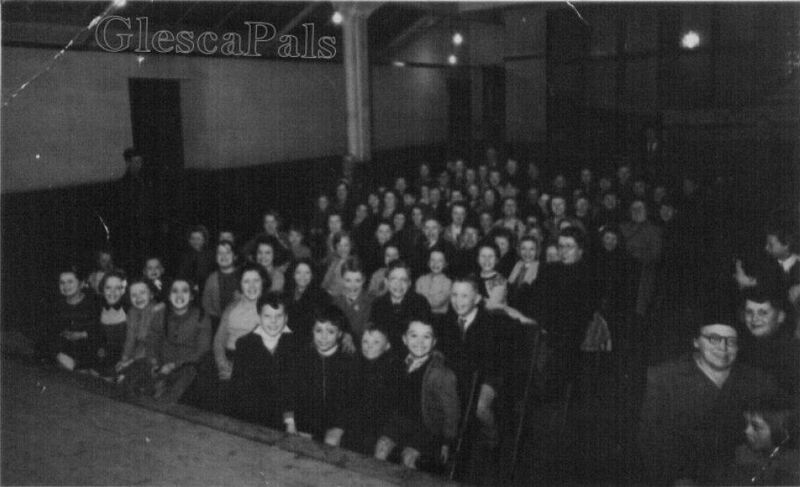 This photograph was taken circa 1953/54 in the church hall of the Hall Memorial Church, Dalmarnock. It shows a well-attended Band of Hope meeting which was held every Monday night and was led by James (Jimmy) Freer, Firewood Merchant, Mauldslie Street, Bridgeton. That's 'Glesca Artist' sitting in the front row next tae the aisle, wi' his wee brother, GlescaPal Eddie, sitting next tae him. As can be seen from the photograph the "Bandyhope" was well attended by locals. It was great. They would sing choruses like "Deep and Wide" and "Running Over", listen to bible stories from guest visitors, and watch slide projector shows, mainly about the bible. 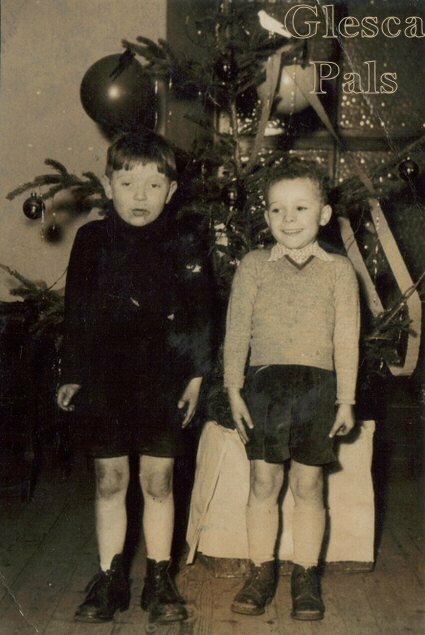 On special occasions they would have a party when a goody bag containing sausage rolls, sandwiches and cakes would be handed out with a cup of tea as we watched and thoroughly enjoyed Charlie Chaplin films.